The Melbourne Mining Club runs six luncheons each year, mainly in the historic Melbourne Town Hall. Keynote speakers include the top executives and chairmen of the world’s leading resource companies, drawn to one of the most knowledgeable audiences of resource industry representatives as well as senior investment and media representatives. 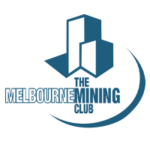 Melbourne Mining Club lunches are where the resource industry gathers to network and hear from the premier speakers from the world’s biggest mining companies. Melbourne is the hub of the Australian resource sector, home of the biggest companies, leading services providers in the fields of engineering, project design, legal, technical, accounting and taxation. Australia’s highest education faculties in the disciplines of mine and process engineering, geology, geophysics and geochemistry call Victoria home. Bookings are essential for our lunches and can be made through this website or contact our secretariat. Our lunches start at 12.30pm and finish promptly at 2pm, and often include the opportunity for Q&A with some of the biggest names in the mining sector. Wednesday 13 February; Thursday 2 May; Thursday 30 May; Friday 9 August; Thursday 10 October; Thursday 5 December. PLEASE NOTE: These dates are subject to change to fit with the MMC Committee arrangements. "The Future of Mining Finance"
An all-star panel will discuss issues impacting the funding options for the next generation of mining projects and companies. Moderator: Hedley Widdup, Executive Director, Lion Selection Group. International Banker: Aaron Ross, Global Head – Resources, Energy and Infrastructure, ANZ. Private Equity Specialist: Jason Chang, CEO and Managing Director, EMR Capital. Corporate Adviser: Richard Phillips, Co-head of Greenhill Australia and Global Vice Chairman. Subscribe to our email alerts on our membership page.